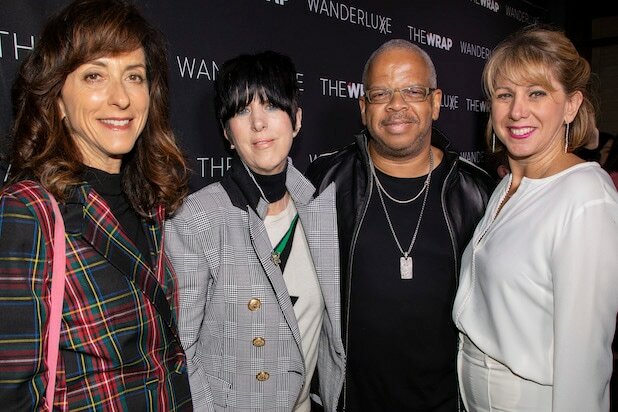 Oscar nominees Diane Warren, Mary Zophres, Terence Blanchard and more celebrated inclusion, diversity and the rising role of women at TheWrap and WanderLuxxe‘s party at Norah in West Hollywood on Wednesday night. Nominees in categories ranging from Best Picture to Costume Design to Documentary Feature were on hand to raise a toast to mark such progress. And there were also be plenty of women on the Oscar ballot celebrating: Warren, who is up for Original Song with “I’ll Fight” from “RBG;” Mildred Iatrou Morgan and Ai-Ling Lee, co-nominees for Sound Editing for “First Man” (Lee is also nominated for Sound Mixing); Zophres, costume designer for “The Ballad of Buster Scruggs”; and more. With films like “Black Panther,” “Green Book” and “BlacKkKlansman” in contention, the 2019 Academy Awards reflect a celebration of diversity in film theme, actors and among filmmakers unsurpassed by any year before it. Yalitza Aparicio is the first indigenous actress ever to be nominated for Best Actress for “Roma,” directed by Mexican filmmaker Alfonso Cuarón, who is nominated in multiple categories this year — to name just a few examples. There is still work to be done: Just 25 percent of nominees in gender non-specific categories are women — leaving some to question whether an #OscarsSoMale hashtag would gain traction. Also, Asian actors did not appear in any of the acting categories. What’s more, only four of the possible 20 acting nominations this year went to people of color. Stars at the party included DJ Shangela Pierce from the Oscar-nominated “A Star Is Born;” “Sideswiped” creator and star Carly Craig; DJ and record producer Paul Oakenfold; and many more. Outfitted with signature cocktails from sponsor Guillotine Vodka, TheWrap’s Oscar party was put on in conjunction with WanderLuxxe for what was a night to remember. Come back to TheWrap.com to catch more photos and videos from the party. Oscar nominees from around the world came out for cocktails and lively conversations Wednesday, Feb. 13 for TheWrap-WanderLuxxe Oscar Party. The conversations on diversity and inclusion in Hollywood today were fueled in part by the night's signature cocktails from sponsor Guillotine Vodka. Attendees included best foreign film- nominated director Talal Derki ("Of Fathers and Sons") and best song-nominated songwriter Diane Warren ("I'll Fight," featured in the documentary "RBG"). 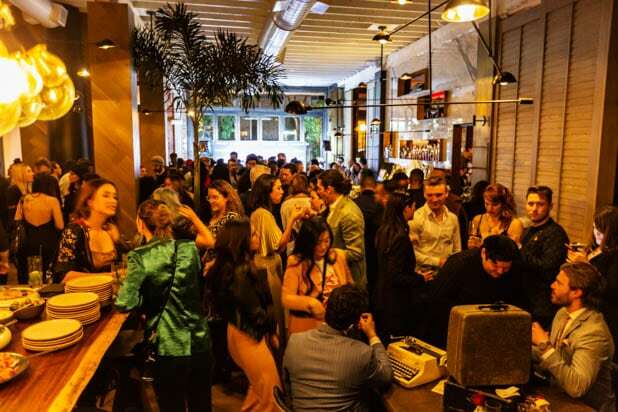 Take a look at the happenings inside Norah in West Hollywood. Best Song-nominated songwriter Diane Warren attends TheWrap and WanderLuxxe's Oscar Party. Mary Zophres, nominated this year for best achievement in costume design for her work on "The Ballad of Buster Scruggs," joins Diane Warren, as well as Terence Blanchard, best original score-nominated composer for "BlacKkKlansman," and Sharon Waxman at TheWrap and WanderLuxxe's Oscar Party. Oscar nominee Melissa Berton, up for best Documentary Short for "Period. End of Sentence.," poses at TheWrap and WanderLuxxe's Oscar Party. Specialty cocktails were provided by Guillotine Vodka for TheWrap and WanderLuxxe's Oscar Party. Guests enjoy beer provided by Heineken at TheWrap and WanderLuxxe's Oscar Party. Philippe Pierre was the DJ at TheWrap and WanderLuxxe's Oscar Party. "RuPaul's Drage Race" personality DJ Pierce at TheWrap and WanderLuxxe's Oscar Party. "Mary Poppins 2" animation supervisor Ken Duncan with Julie Duncan at TheWrap and WanderLuxxe's Oscar Party. "Gone Girl" and "Twilight" actor Edi Gathegi at TheWrap and WanderLuxxe's Oscar Party. Short-film actress and writer Yazmin Monet Watkins attends TheWrap and WanderLuxxe's Oscar Party. Star of the upcoming ABC drama "The Fix" KJ Smith at TheWrap and WanderLuxxe's Oscar Party. "Animal Kingdom" actress Nicki Micheaux at TheWrap and WanderLuxxe's Oscar Party. Influencer and Kim Kardashian's former assistant Stephanie Shepherd at TheWrap and WanderLuxxe's Oscar Party. Guillotine Vodka founder Paul Berkmann at TheWrap and WanderLuxxe's Oscar Party. Wanderluxxe concierge service founders Marti Hines and Lola Wood at TheWrap and WanderLuxxe's Oscar Party. "What We Do in the Shadows" actor Harvey Guillen at TheWrap and WanderLuxxe's Oscar Party. TV Land's "Teachers" actors Katy Colloton and Katie O'Brien at TheWrap and WanderLuxxe's Oscar Party. Wanderluxxe founder Marti Hines with guests at TheWrap and WanderLuxxe's Oscar Party. Sharon Waxman, with Wanderluxxe founders Lola Wood and Marti Hines, toasts to this year's diverse group of Oscars nominees at TheWrap and WanderLuxxe's Oscar Party. Marti Hines, with Lola Wood and Sharon Waxman, toasts to this year's diverse group of Oscars nominees at TheWrap and Wanderluxxe's Oscar Party. The Haiku Guys at TheWrap and WanderLuxxe's Oscar Party. "True Detective" actress Emily Nelson at TheWrap and WanderLuxxe's Oscar Party. TNT's "Claws" actress Sherry Cola at TheWrap and WanderLuxxe's Oscar Party. "Carrie" actress Mouna Traoré with guests at TheWrap and WanderLuxxe's Oscar Party. "Wayne's World" actress Tia Carrere at TheWrap and WanderLuxxe's Oscar Party. Guests at TheWrap and WanderLuxxe's Oscar Party. Youtube Premium's "Sideswiped" creator and actress Carly Craig at TheWrap and WanderLuxxe's Oscar Party.